Review: Wow! I don't think I've ever read anything like this book before. Max Dune has an amazing way of taking a story that we all know and twist it and turn it into something completely different. In this action packed adventure, Lucian the elf isn't like normal elves that work at the north pole. When Jack Frost attacks his village, Lucian goes after him, wanting to take down the man that killed his parents. When his world turns upside down and there is no where for him to turn, the only person he can rely on is the enemy. In the end, its not always the strong that win, but the strong of heart. I loved the characters in this story. Lucian has lots of depth and compassion for the ones he loves and even though he has suffered loss and soon to be more, he vows to do everything he can for those people. The rogue elves are awesome. They all have a little quirk to the that makes them unique. 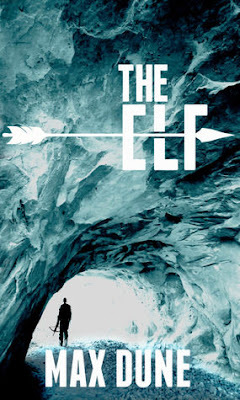 If you are looking for a good Christmas thriller that will leave your mind blown, then pick up The Elf by Max Dune and have a fun ride. I give this book 5 stars for being unique and epic.